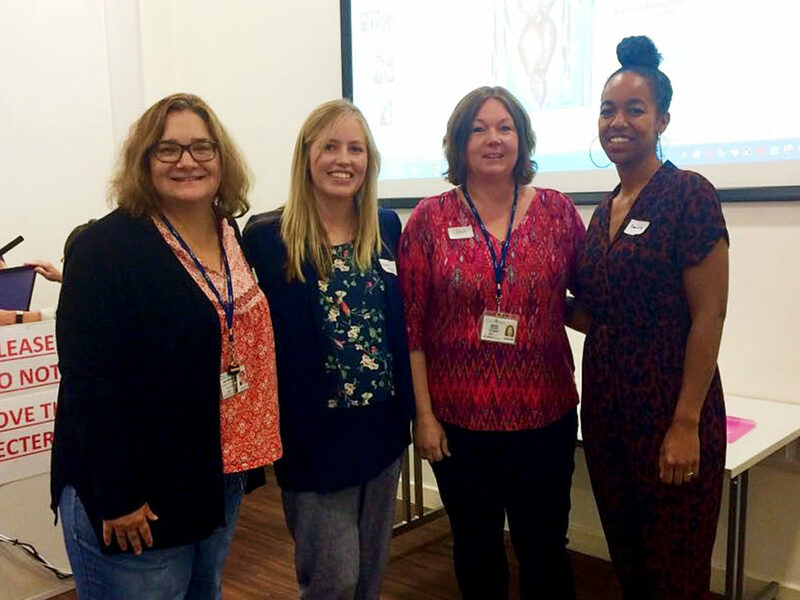 On Saturday 8th September, Mindful Mums staff and volunteers presented at the Perinatal Mental Health Conference held at the Princess Royal University Hospital. The event was attended by health professionals working in health and wellbeing during pregnancy, childbirth and the first year after birth. Karen Taylor from Mindful Mums shared how the service supports pregnant women and new women to look after themselves during a life changing period of their lives. Camilla, a Mindful Mum volunteer co-facilitating Mindful Mums Wellbeing groups, talked about her own experiences of pregnancy, childbirth, being a new mother and volunteering. She also talked about the importance of peer support for pregnant women and new mothers, and the space provided by Mindful Mums for women to share experiences, learn from and support each other. Perinatal professionals can refer pregnant women and new mothers living in the boroughs of Bromley or Lewisham, or women themselves can contact Mindful Mums themselves to book places on groups.